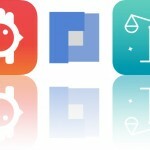 Experience Sally’s emotional journey, share sushi stickers, and learn to spell while improving hand-eye coordination with today’s collection of apps and games. 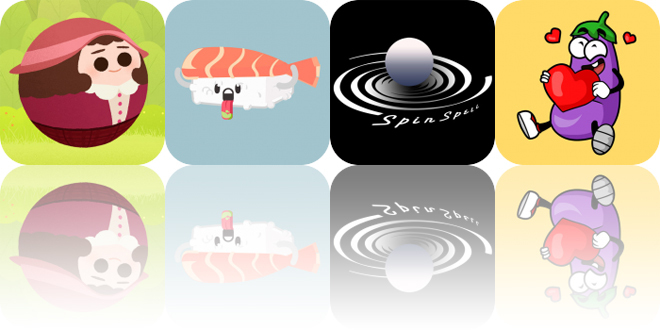 Spin Spell ($1.99 → Free, 79.9 MB): Learn to spell while improving hand-eye coordination with Spin Spell. Parents and teachers. Sally’s Law ($1.99 → Free, 346.8 MB): Experience the journey of Sally in this award-winning indie game. Those who love a good platformer and a good story. Sally’s Law is much more than a game. It tells the story of a girl named Sally who makers her way home to see her critically-ill father. During the journey you’ll be able to reveal Sally’s past, which will explain all of her perceived good fortune or what’s better known in the game as Sally’s Law. Its loaded with fun puzzles and platforming elements, but the heartwarming story is what will keep you coming back for more. Sally’s Law is available for free for a limited time. It has a 4.5-star rating with a total of 15 ratings. Eggplant Stickers is available for free for a limited time. It has a 4-star rating with a total of 8 ratings. Sushi Stickers for iMessage is available for free for a limited time. It has a 4.5-star rating with a total of 13 ratings.